Senator Kamala Harris of California has taken to a book tour to introduce herself to more voters. WASHINGTON — Senator Kamala Harris leaned toward the microphone last week and looked at William Barr, President Trump’s nominee for attorney general. The questions flew fast. Was he advocating for a border wall? Did he know most illegal drugs come through ports of entry? Had he been to one lately? When Barr said he had not, Harris pointedly suggested he do so. This is the Harris most Americans know, if they know the California Democrat: the calm, focused inquisitor on the dais of the Senate Judiciary Committee, directing withering questions at such Trump appointees as now-Supreme Court Justice Brett Kavanaugh or former attorney general Jeff Sessions (who once said her volley of queries made him feel “rushed” and “nervous”). On Monday, she jumped into the race for president, joining what could be the broadest Democratic field in a generation in a party eager to take on President Trump. Harris announced her plans on Good Morning America, and released a video on social media that hinted at a broad and conciliatory political message. Warren, who also is running for the White House, called the California Democrat’s entrance into the race “terrific” for the party. Aides to Harris said her campaign theme will be “For the people,” a nod to her career as a prosecutor. Harris, the daughter of immigrants who is part African-American and part Indian-American, will also emphasize the historic nature of her candidacy. Aides said she will use yellow and red campaign imagery meant to evoke that of Shirley Chisholm, who became the first black woman from a major party to run for president in 1972. Her rise in national politics has come quickly, and she is working hard to introduce herself to the more than half of Democrats and Democratic-leaning voters, according to one recent poll, who have not heard of her (or are unsure how they view her). Harris is expected to instantly be considered a top-tier candidate, and her potential competitors — including Elizabeth Warren — are likely to eye her carefully. Harris would “naturally attract a lot of buzz out of the gate,” said Brian Fallon, a former press secretary for Hillary Clinton. While other potential candidates have already made appearances in early primary and caucus states, Harris has offered a broad political message and focused on presenting herself as an enlightened former prosecutor and the daughter of immigrants — one from India and one from Jamaica — who has already made history as the second black woman elected to the Senate (and the first South-Asian American). She has won plaudits from Democrats for her willingness to oppose Trump. 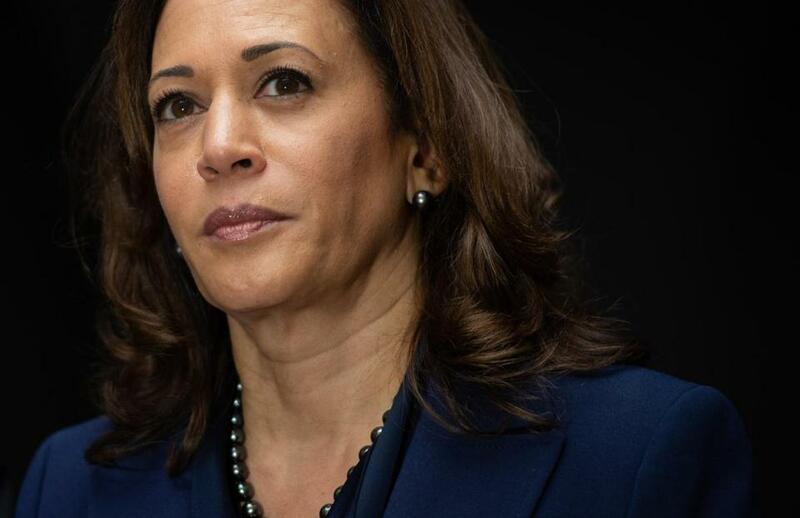 Harris is a relatively fresh face in national politics who has not faced stiff Republican opposition in a race since she was first elected California attorney general in 2010. She is beginning to face more scrutiny, as when a New York Times op-ed last week argued her record as a prosecutor is not as progressive as she has made it out to be — a line of criticism that may grow in a party turning to the left on criminal justice. Still, some Democratic groups and operatives are deeply intrigued by the prospect of Harris taking on Trump. “We have the most divisive politician as president of the United States, and Senator Harris is the antithesis of that, its opposite, both in her policy outlook and her biography,” said Neera Tanden of the Center for American Progress, a left-leaning think tank, who has known Harris since she was attorney general. With her new book, “The Truths We Hold,” Harris is telling this story. Harris was wheeled to civil rights marches in her stroller and decided early in life that she wanted to become a lawyer. She attended Howard University, the historically black university in Washington, and became a prosecutor — a choice she says was driven by a desire to reform the system. “When activists came marching and banging on the doors, I wanted to be on the other side to let them in,” Harris wrote. Harris was elected district attorney for San Francisco in 2003 and ran for attorney general in 2010, winning a close race in which the Republican State Leadership Committee spent $1 million trying to defeat her. During the New York book talk, Harris spoke warmly with a friendly moderator, moving easily between political platitudes — “Anything worth fighting for is a fight worth having,” she said — and a spot-on impression of her New Jersey in-laws that drew peals of laughter from the crowd. “She’s a real human, and someone who talks about the truth in a way that I can resonate with,” said Alison Fetten, 48, a newly elected member of the borough council in South Bound Brook, N.J., who watched the talk and said Harris was at the top of her list of presidential contenders. She has also touted a settlement she helped to secure from big banks that brought $20 billion in homeowner relief for Californians after the foreclosure crisis and emphasized her work on prison reentry initiatives, bail reform, and other pillars of criminal justice reform. Her spokeswoman, Lily Adams, said in a statement that Harris pushed for police accountability during her career and diverted young people to apprenticeship programs instead of prison. “Kamala Harris has spent her career fighting for reforms in the criminal justice system,” Adams said. Harris is a formidable fund-raiser with a huge social-media following; online clips of her in Judiciary Committee hearings have been viewed millions of times. She may also appeal to voters looking for a standard-bearer who embodies the party’s diversity. “The heart and soul of the Democratic Party today, and going into 2020, is fueled by women and candidates of color,” said Mary Anne Marsh, a political strategist based in Boston. That means the early primary map could be favorable to Harris, particularly if she connects with voters in her home state of California — which will vote much earlier than usual in 2020 — and with black voters in the southern states that helped power Clinton to a primary victory over Bernie Sanders in 2016. But other likely candidates will be working hard to win over those same voters. Warren, who is among the potential candidates already hiring staff in key primary states, frequently mentions the role of racial discrimination in holding back people of color in her stump speech. “I think Warren is very clearly showing that she understands the need to appeal to many of the same voters among whom Harris will have a quite natural appeal,” Fallon said. And both have been famously interrupted in the Senate, which rallied women to their sides. The phrase “Nevertheless, she persisted” originated when Warren was cut off by Senate majority leader Mitch McConnell in 2017. 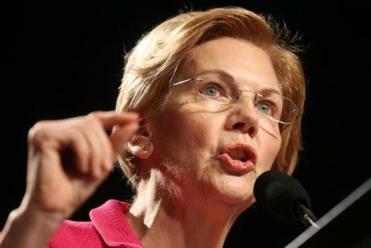 And Warren herself tweeted the phrase in support of Harris when she, too, was interrupted by Senate Intelligence Committee chairman Richard Burr while questioning Deputy Attorney General Rod Rosenstein. Harris nodded to the phrase again in her book, when she recalled meeting with Warren while she was attorney general and Warren was developing the Consumer Financial Protection Bureau. Harris told Warren she was not ready to sign on to any foreclosure settlement that would prevent her from doing her own investigation. “As an administration official, she couldn’t outright tell us to go our own way, but I got the strong sense she would understand if I persisted,” Harris wrote. Jess Bidgood can be reached at Jess.Bidgood@globe.com. Follow her on Twitter@jessbidgood.